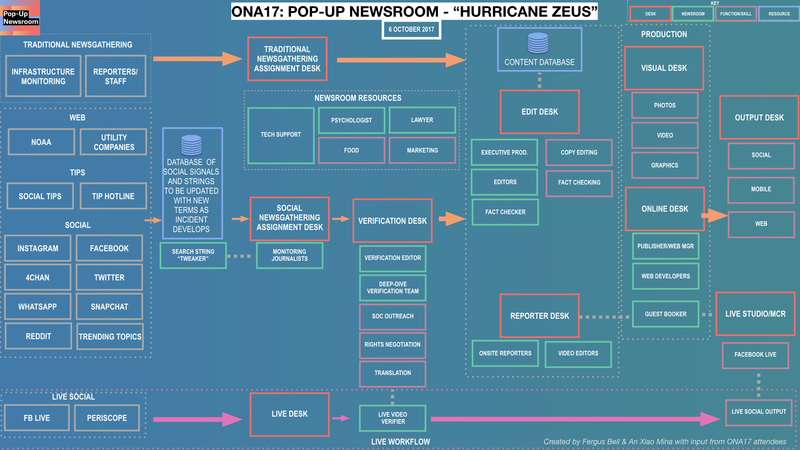 “Hurricane Zeus” was coming and we needed to ensure digital newsgathering success. 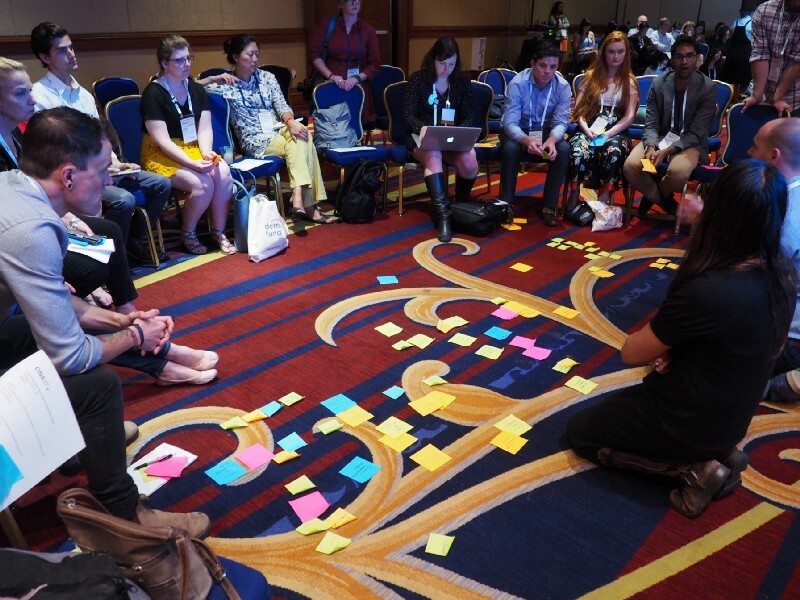 When we were asked to run a session under the title Epic Projects for Epic Newsrooms at the Online News Association’s annual conference, we knew that the best way to convey the work we have done on several projects was to actually take the participants through the same processes. So, we told the room that a storm was coming and that we were going to set up a collaborative Pop-Up Newsroom to cover this fictional “Hurricane Zeus.” It would focus on social and digital newsgathering, verification and publishing output, and every organisation represented in that session would be a stakeholder. Whatever we came up with had to be able to work quickly, effectively and satisfy the needs of 20 organisations. 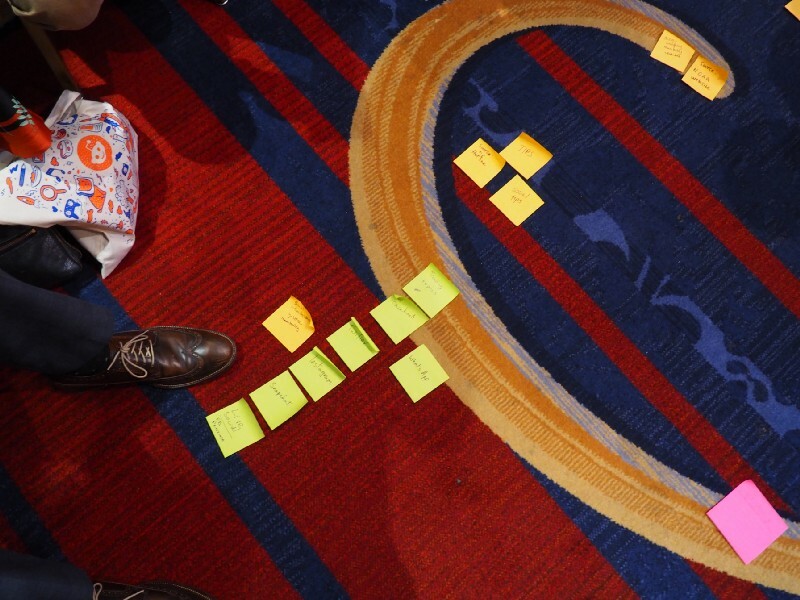 After outlining the scenario we split the group into two groups to identify a number of key areas. Inputs: the signals that the newsroom would be monitoring for e.g. social media, livestreaming video, tips coming into the newsroom. Outputs: what does every organisation need to get out of the collaboration and what will be most useful to those expecting and needing comprehensive coverage. 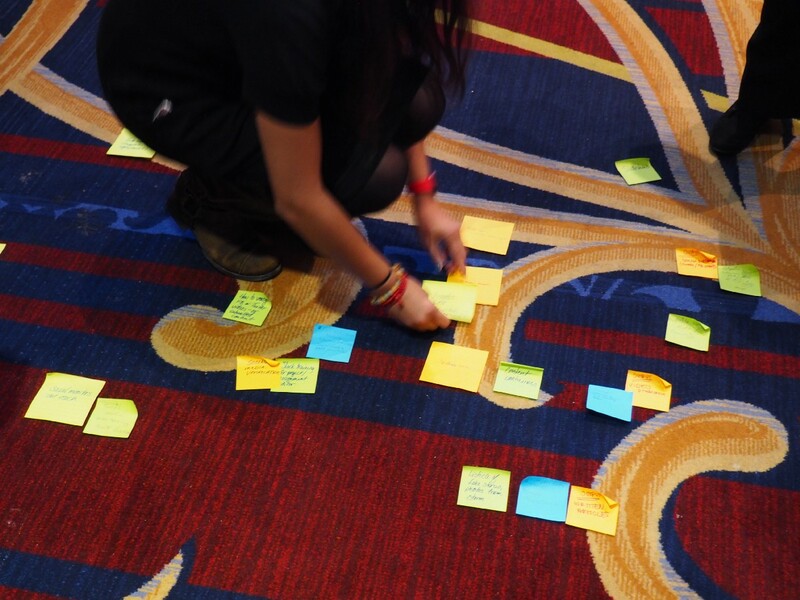 We then worked to fill in the functions and roles that would get us to that point. When you work with a blank slate — devoid of office politics — it is surprising to find new and yet completely obvious newsroom functions that are essential to a successful project but that have never been implemented before. 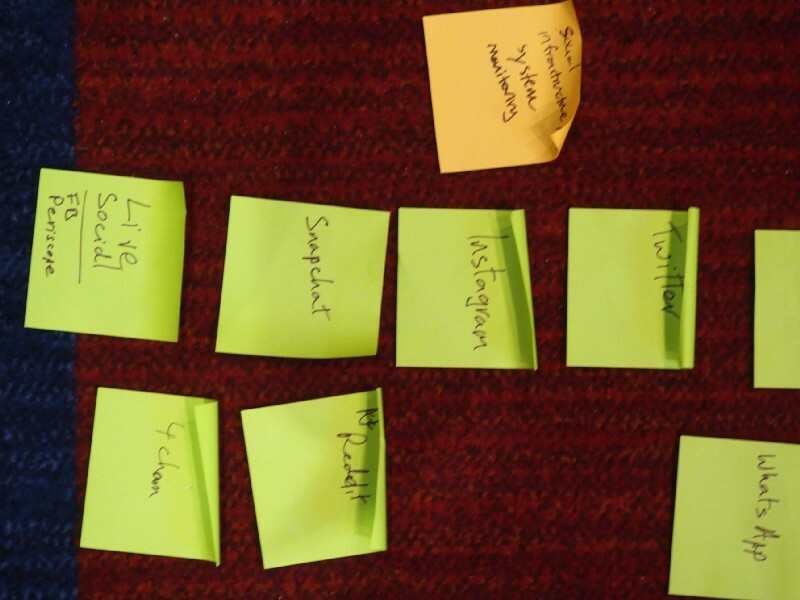 For example the group came up with the role of Verification Editor. The “Verification Editor” would be equipped with high level skills and experience in verification work and oversee a team of crack verifiers doing deeper dives on the harder pieces of content. They would have overall sign off on all verification work that passed through the desk before it went to the production team. We all really hoped to see this role in future newsrooms! 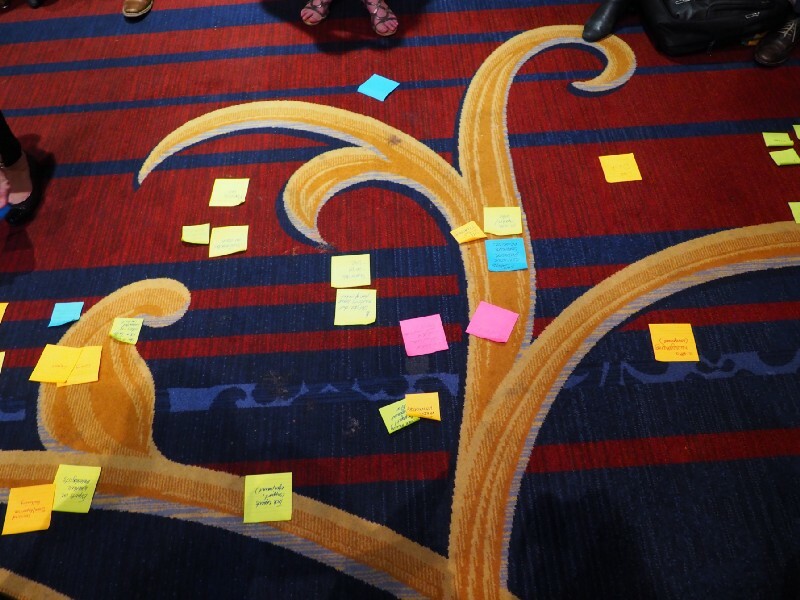 As the roles and functions of the newsroom started to be added we began clustering them together where it made sense. These clusters began to take the shape of desks that you would find in most newsrooms, and some that you wouldn’t find anywhere. Also, some of the desks and functions that are usually together in a traditional newsroom were split apart for reasons of speed. One example of this is the Live Desk, which needed its own workflow to handle live social video; people monitoring, verifying and publishing in real-time. By disconnecting it from the other work while keeping the same steps in the process, it should be able to work at the speed needed. We also added as much infrastructure to the newsroom as possible, given the time available, with suggestions that pizza and beer are essential for a team of journalists hunkering down for storm coverage. We also added some more serious functions as roles such as the availability of a lawyer to deal with content rights issues and mental health resources for those working on harrowing content for long periods of time. 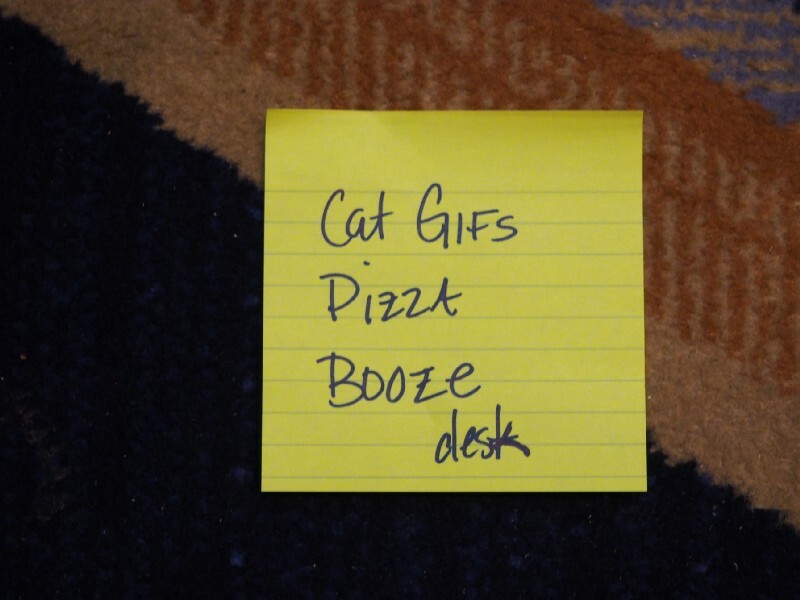 Combining all of these facets we ended up with a pretty epic live newsroom workflow that we felt could work for this fictional disaster — and built on for real-life events that might be on their way. 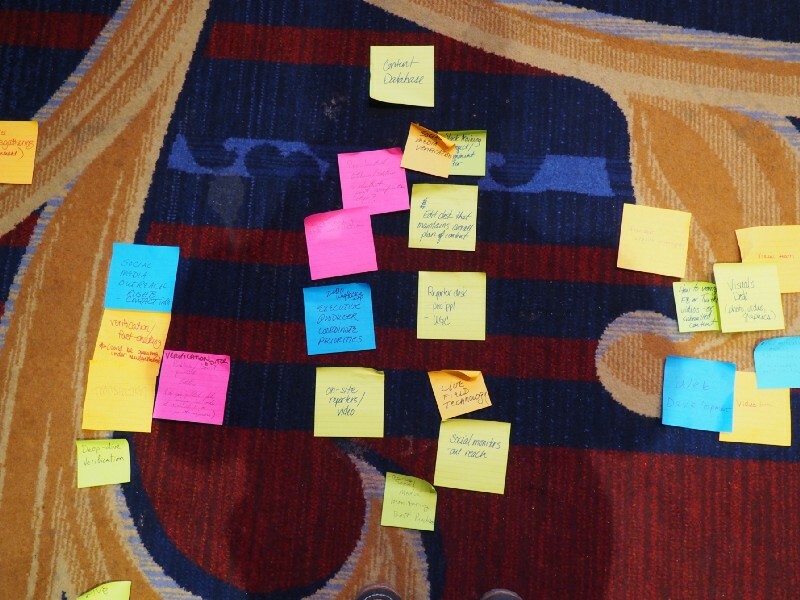 This workflow diagram accurately reflects what the room came up with in the session. It has been tidied up slightly but contains all of the core elements. Created by Fergus Bell and An Xiao Mina with input from ONA17 session attendees. Testing: using multiple natural disasters— or semi-plannable events — and see how it holds up with differing aspects of similar scenarios. Streamlining: looking at the functions and roles proposed for this newsroom to see if there is any obvious cross-over or duplication. Expanding inputs and outputs: to make sure that all monitoring is accounted for and all possible output requirements for collaborators are met. Communication: looking beyond the flow of functions and seeing how communication can be as smooth. 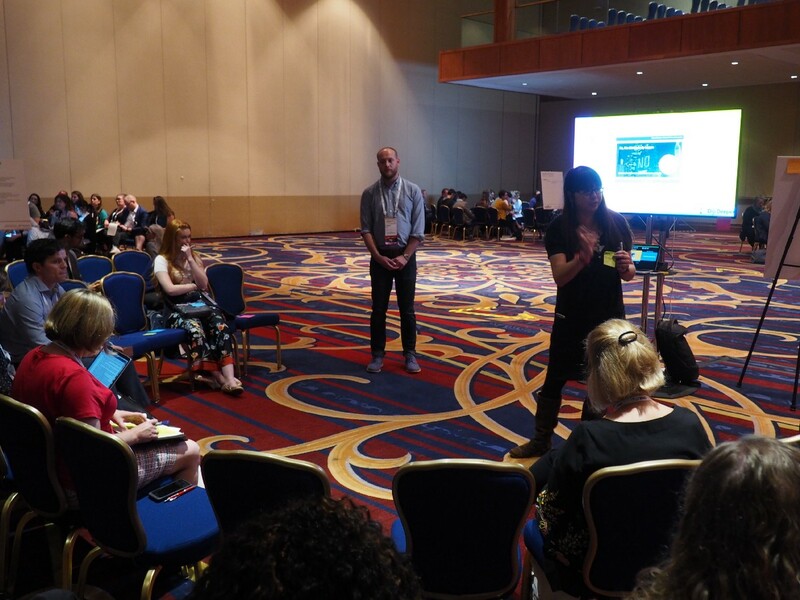 Syncing editorial and digital workflows: looking at the products and tools needed to make this happen and check that the workflows can be replicated digitally as well as physically. We know for a fact that there is a real need for this kind of plan (because people have told us!) and so we will now dive into the detail and come up with something that can be ready whenever needed. This will most likely be a highly detailed editorial and logistical plan — with an ever important budget — that can be adapted for the purpose as it becomes clear. We will also need to find preliminary partners so that we can assemble at a moment’s notice. If you wish to be a collaborator in any future project like this then please get in touch. 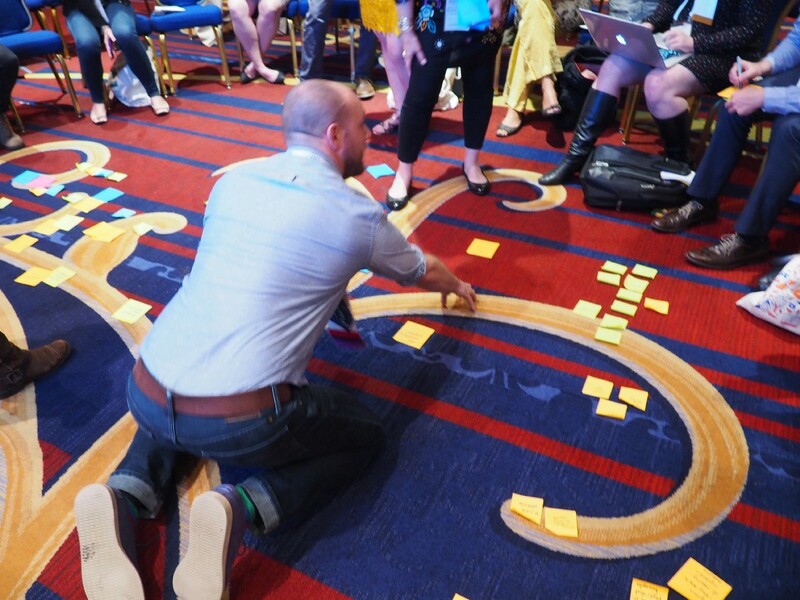 Building partners and collaborating with newsrooms ahead of time will be just as essential as nailing that workflow. 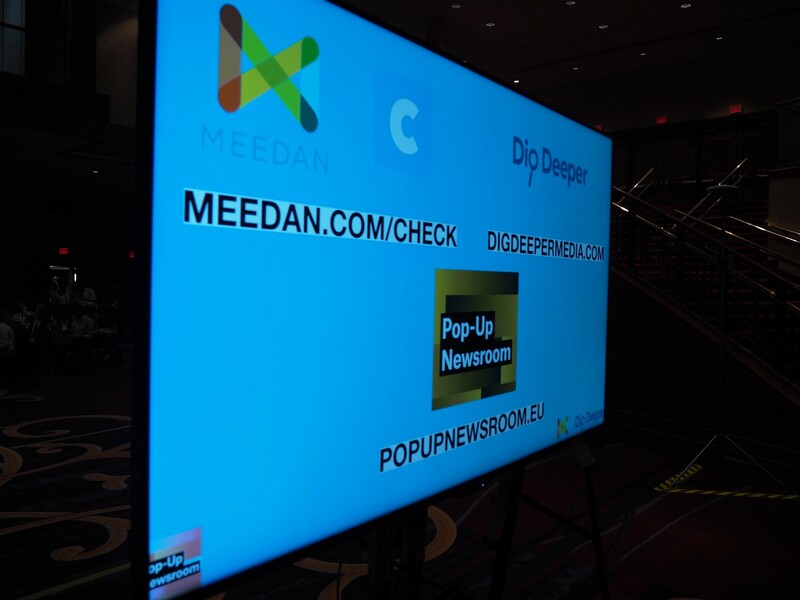 To learn more about future Pop-Up Newsrooms or to get involved in one please email info@popupnewsroom.com or Tweet us. 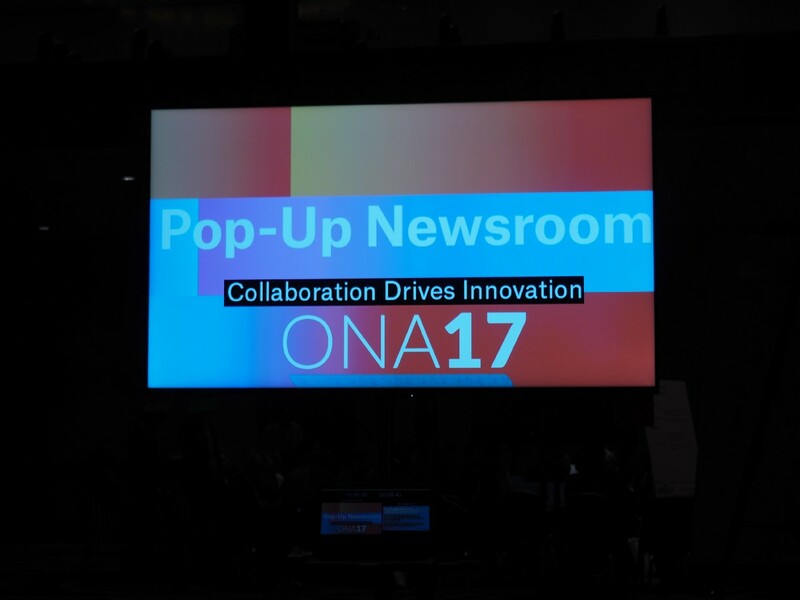 Pop-Up Newsroom is an innovation framework for newsrooms that are changing the way they collaborate, communicate and engage audiences through new tools and training.